The more stars, the more you save. The star rating on your Ducted Gas Heater helps you compare how much gas your heater is actually using. It’s an indicative guide that outlines the running cost of the heater in terms of annual energy usage. The higher the star rating, the more energy efficient the heater is – meaning bigger annual savings on your running costs. 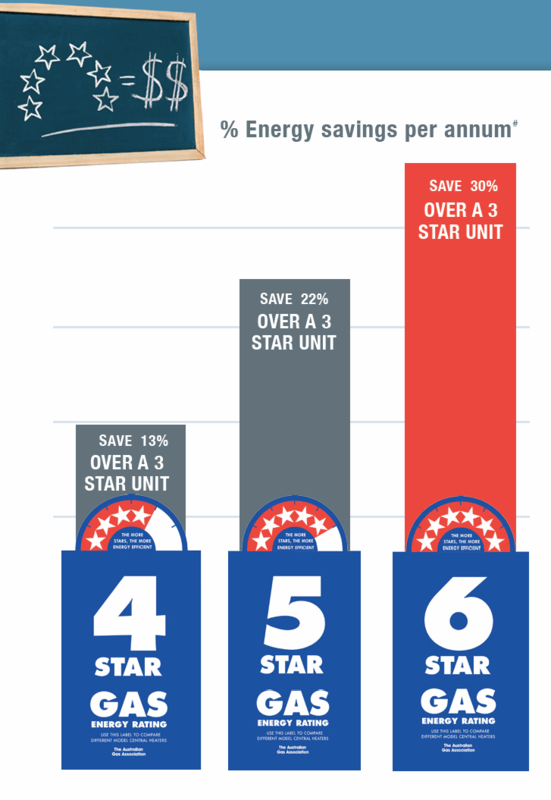 On average, an increase of one star means energy usage savings of approximately 10 percent.